The records of 619 patients that underwent major urologic laparoscopic procedures at the Cleveland Clinic and had at least one chest X-ray taken in the immediate or early postoperative period were analyzed (1). Of these patients, 438 (71%) had completely In a recent study from the Cleveland normal chest X-ray. Clinic, medical pulmonary complications, In a recent study from the Cleveland Clinic, medical pulmonary complications, surgical thoracic complications, and surgical thoracic complications, and subclinical incidentally detected gas collections in subclinical incidentally detected gas the chest were identified in 12.6%, 0.5%, and 5.5% of patients, respectively. collections in the chest were identified Medical complications (12.6%) included pulmonary infiltrate/atelectasis (9.7%), in 12.6%, 0.5%, and 5.5% of patients, pleural effusion (4.8%), and pulmonary embolus (0.3%). Surgical complications included respectively. symptomatic pneumothorax in four patients (0.35%), hemothorax in one (0.08%), and chylothorax in one (0.08%). Subclinical abnormal thoracic gas collections were radi-ographically noted in 34 of the 619 patients (5.5%) with a chest X-ray: 19 pneumomediastinum (3.1%), 10 pneumothorax (1.6%), and 5 pneumopericardium (0.8%) (Tables 1 and 2). No patient had an open conversion to complete the initial proposed operation. Only one patient (0.08%) required an open reexploration of the thorax in the entire series. There was no patient mortality due to a thoracic complication (1). 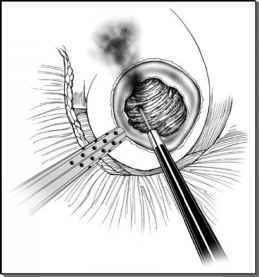 Retroperitoneal laparoscopy was The number of transperitoneal and retroperitoneal procedures was equivalent. associated with a higher incidence of Retroperitoneal laparoscopy was associated with a higher incidence of abnormal tho-abnormal thoracic gas collections racic gas collections (transperitoneal 3, retroperitoneal 33). (transperitoneal 3, retroperitoneal 33). However, all these radiographic findings were incidental and asymptomatic, requiring no further intervention. On the other hand, the incidence of thoracic complications that required additional surgical intervention during transperitoneal and retroperitoneal laparoscopy was similar: one case and three cases, respectively (1).